Update: The new CCM RBZ stick is now available for pre-order from Pure Hockey! Head over there to pick one up today and use the coupon code HOCKEYWORLD to save 10% on select items. Earlier this week, we brought you a sneak peek look at the new CCM RBZ hockey stick. 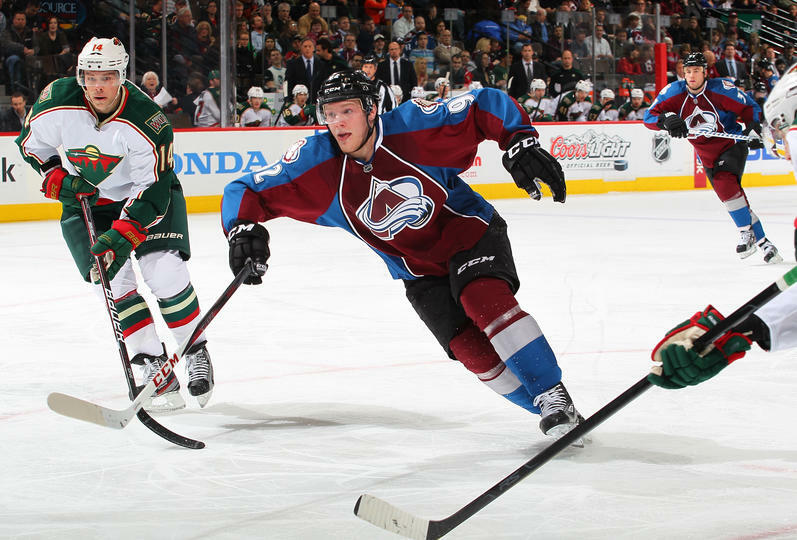 It was first seen as an all white stick being used by Gabriel Landeskog. As the next few days passed, more and more information was released. We found out that the CCM RBZ hockey stick will be powered by Taylor Made, and is actually named after a Taylor Made driver (Taylor Made RBZ). We’ve also seen that CCM now has a new landing page on their website, which shows a picture of the all white RBZ blade featuring a “Powered by Taylor Made” logo. Knowing that CCM has worked with Taylor Made engineers to put real Taylor Made technology into the CCM RBZ hockey stick has all gear junkies intrigued. What kind of technology could a golf company put into a hockey stick? Well taking a look at at the new CCM landing page of the stick, which also reads “Insane Velocity,” allows us to speculate further. Claiming insane velocity all while showing a Taylor Made logo, we can make an educated guess that the Taylor Made technology will help improve shot speed. In fact, some of the technology that appears in the RBZ drivers helps to enlarge the portion of the face which increases ball speed while simultaneously improving performance on mis-hits. Sound like something you would want to see in a new hockey stick? It seems like you might have that opportunity when the new CCM RBZ hockey stick hits retail store shelves on August 15th, 2012. Leave us a comment and let us know your thoughts on the new CCM RBZ hockey stick. Do you think you the addition of Taylor Made technology will help to elevate the CCM RBZ stick to be one of the top sticks in the game? in the quebec international tournament it was shown in the hallways !!!!!!!!!!!! It was amazing !!!! when does this twig come out babe ?? this is the best stick I have ever seen in my life. when does this come out? i want it now. i wonder if my slapshot will slice? My Reebok rep came in and showed me the stick a couple weeks ago. I couldn’t put it down! It felt great in my hands. I am a Bauer guy through and through, but I NNED to have this stick. Reebok is behind on production, so they won’t be commercially available until November. Stick is available in August… Not October. When can i pre-order it ??? This stick is amazing cant wait to get my hands on one becaues i use a taylormade rbz driver for golf and its amazing. Also the RBZ stands for RocketBallZ. when does this stick come out FOR REAL? y doesnt it say how light it is??? How much with the ccm rbz be when it comes out ? CCM Hockey and TaylorMade Golf share the same passion for delivering high performance equipment played by the most demanding athletes, using technical and innovative approaches. As a result, CCM and TaylorMade have entered into a multi-year collaboration aimed at redefining the hockey stick category with game changing technologies. Get ready to strap a rocket to the puck! 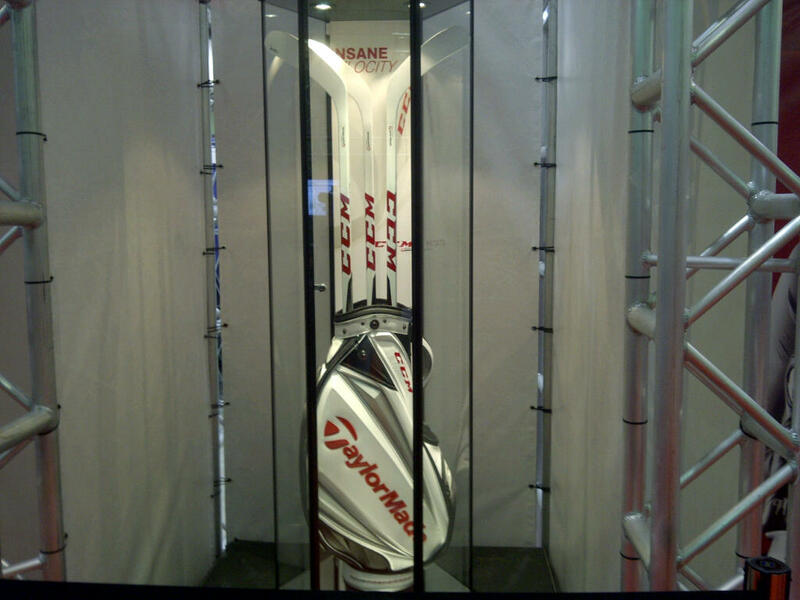 The first expression of this partnership is the new CCM RBZ powered by TaylorMade. 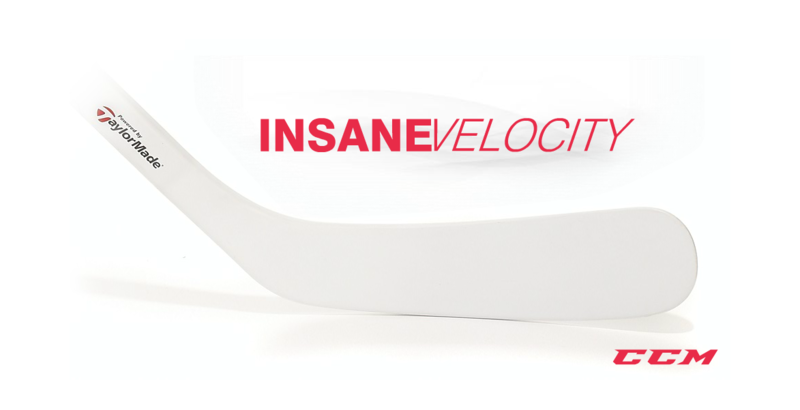 Featuring the revolutionary SpeedBlade TechnologyTM providing insane velocity, the face of hockey sticks has changed forever. The new CCM RBZ features key innovations that will truly classify this stick in a category in its own. Better weight distribution produces a faster swing for a faster puck speed, while the constant stiffness profile all the way through the shaft allows for a customized kick for maximum shot loading. Finally, the revolutionary SpeedBlade TechnologyTM provides a hot blade face which helps rockets the puck off the blade. 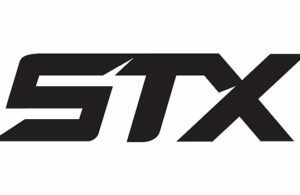 Strap a rocket to the puck with the new CCM RBZ launching August 15, 2012! will they have the couturier curve?